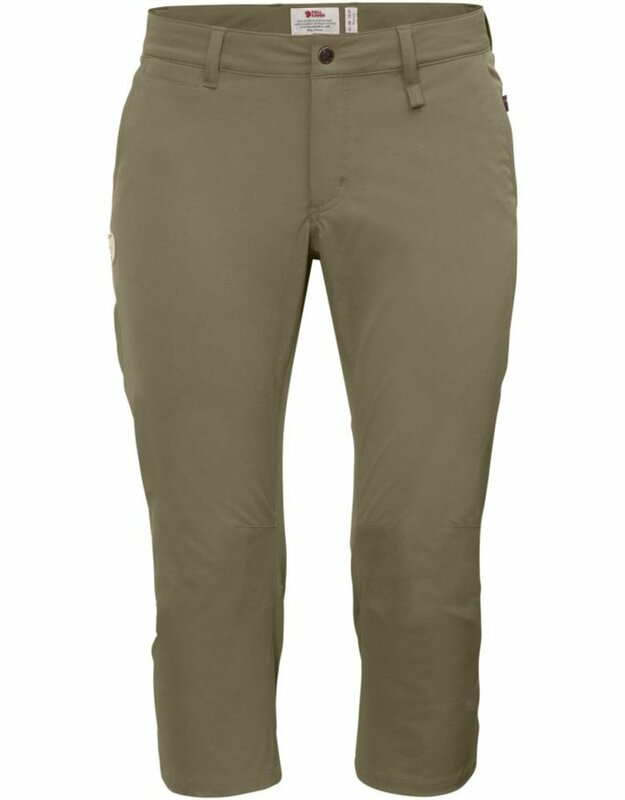 Classic and functional capri trousers with three-quarter length legs in comfortable stretch fabric. Perfect for light treks and all kinds of outdoor life, and with their simple design they also work well in more urban environments. The cut is feminine and well fitting, with pre-shaped knees for extra freedom of movement. There are two hand pockets and a coin pocket at the waist. 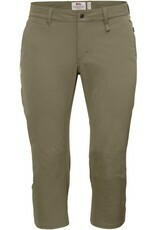 In addition, there is a discreet leg pocket with a zipper and a back pocket with a buttoned flap. A loop at the waist can be used for attaching equipment or a pair of gloves needed close at hand. Fixed-length leg endings with slits at the sides.